The Disclaimer is available for inspection at the office of Hospitality Support Group and will be sent on requests made by phone +31 (0)20 5720 144 or by e-mail: info@hospitality-support.com. The information is intended for general information purposes only and is not intended as advice. 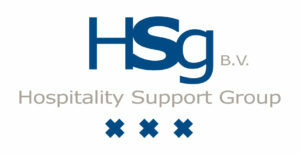 Hospitality Support Group is not liable for any damages resulting from the use (or inability to use) of the website, including damages caused by viruses or any incorrectness or incompleteness of the Information, unless the damage results from willful misconduct or gross negligence of Hospitality Support Group. Hospitality Support Group is not liable for damages resulting from the use of electronic means of communication with this website, including – but not limited to – damages resulting from failure or delay in delivery of electronic messages, interception or manipulation of electronic messages by third parties or software / hardware used for electronic communication and transmitting viruses. The website contains links to external internet pages. Hospitality Support Group is not liable for the use or content of web pages to which this website links to or from web pages which link to this website. Unless otherwise stated, all rights, including copyrights and other intellectual property rights on this website and the Information belong to Hospitality Support Group. Visitors are allowed to use and reproduce the website and the Information for their own use, for example by printing and/ or saving. Any other use of the website or the Information, for example the storage or reproduction of (parts of) the website to another web page or the creation of links, hyperlinks or deeplinks between the website and any other internet site, is prohibited without the express written permission of Hospitality Support Group. In the event you post unsolicited ideas and / or materials, including but not limited to, text, images, sounds, software or information (“Materials”) on this website or send these to Hospitality Support Group via email or through another mean, Hospitality Support Group is entitled to use, copy and / or commercially exploit these materials in the broadest sense, without having to pay any compensation. Hospitality Support Group will not be bound to confidentiality concerning these materials. You hereby indemnify Hospitality Support Group against all damages and costs Hospitality Support Group suffers or has to make because of third party claims about the usage and / or exploitation of the Materials infringing the (intellectual) property rights and/ or is otherwise unlawful towards a third party.